An Economic Development Assistant to assist and support the development and the delivery of the Council’s economic development initiatives. This role will be varied and crucial to the Councils vision and help the delivery of the Councils Economic development aspirations. You will be required to contribute to the creative and open environment within Housing, Economic and communities team. The successful candidate will aid in delivery of the Economic Development Strategy and will aid in marketing NBBInvest, the Council’s new website, to showcase the reasons why a business should invest in the Borough. The ability to identify opportunities which will contribute to the councils Economic aspirations. A professional attitude which will help you liaise with businesses and external organisations. Ability to work independently as well as work and share ideas in a team environment. With excellent time management skills the successful candidate will have the ability to be flexible, adapt and react positively to new and changing situations. Ability to read and interpret policies, guidance and plans. Ability to use Microsoft Office packages effectively. Able to work calmly under pressure and when dealing with others. 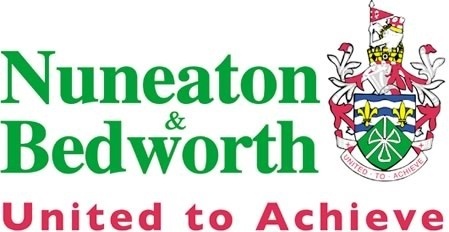 As an employer, Nuneaton and Bedworth Borough Council offers a wide range of benefits, including flexible working, Local Government Pension Scheme, generous holiday allowance and childcare vouchers. This post is covered by the Fluency Duty, as outlined in the Code of Practice on the English language requirements for public sector workers. Please note that all applications must be received on an online application form. We do not accept CV's and do not keep CV's on file unless part of an application. Any communication with you will be via email, so please check your email, including spam/junk folders, and WMJobs account on a regular basis after submitting your application.